New level entry home under construction in this quality subdivision. Featuring 3 bedrooms and 2 bathrooms on the main, including the master with 5 piece ensuite and walk-in closet, a comfortable, open floor plan with high ceilings and gas fireplace, hardwood and tile floors, handcrafted kitchen and cabinetry and granite counter tops. Room to expand with the full unfinished basement that is waiting your ideas. 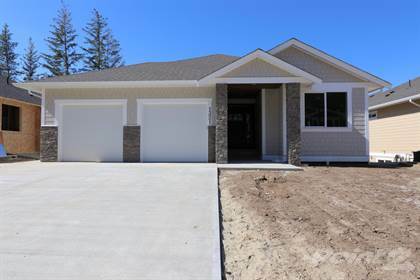 Quality built with hardi-board and rock exterior, large covered deck, concrete driveway and double garage. Located in desirable Hillcrest location close to schools and parks. Price includes net GST. Hi, I'd like to find out more information about 1321 24 Street SE. Thanks so much!